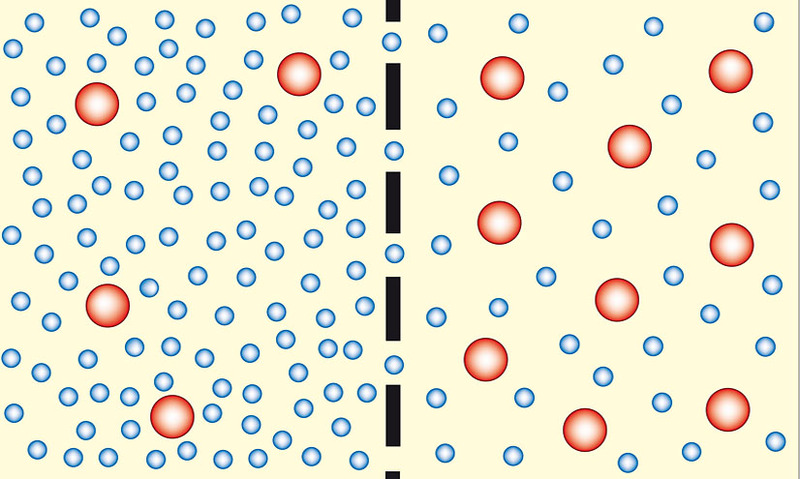 The movement of water from a less concentrated solution to a more concentrated one, through a partially permeable membrane. The movement of water from a less concentrated solution to a more concentrated one, through a partially permeable membrane. It is the main process by which living cells gain or lose water. A cell surrounded by a more dilute solution will always take up water until it is in equilibrium. It is the main process by which living cells gain or lose water. A cell surrounded by a more dilute solution will always take up water until it is in equilibrium.